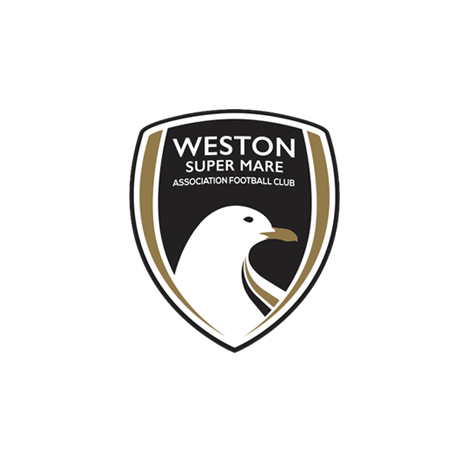 Weston beat Whitehawk F.C 3-1 in the opening game of the 2016-17 season with a superb team performance. Weston started with Luke Purnell in goal, Sekani Simpson and Jordan Williams as the full-backs with Jason Pope and captain Clayton Fortune paired up together at the centre of the defence. Ashley Kington, Jacob Cane and Jake Mawford were the midfield trio while Joe McClennan and Dayle Grubb started out wide with debutant Shawn McCoulsky up front. The first few minutes were very cagey however Weston seemed to be taking control of the game, so when Whitehawk scored in the 14th minute it came as a surprise to the majority of people in the Woodspring Stadium. A low cross was fizzed across Weston’s goalmouth and, in an attempt to prevent a tap in for the opposition, Jason Pope prodded the ball into his own net. 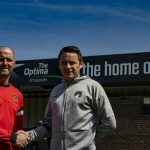 Looking back, conceding may have helped Weston in the game as after the goal they injected real urgency into their play and took charge of the game. 23 minutes into the first half Jacob Cane was replaced by Darren Mullings. The Seagulls’ pressure finally paid off in the 44th minute when Jake Mawford leapt above everyone else to head in Dayle Grubb’s corner to make the score 1-1 at half time. The second half started perfectly for Weston, in the 47th minute the very impressive Shawn McCoulsky muscled his way onto the ball and sprinted goalwards, holding defenders off to slide a pass across the six yard box that Whitehawk’s Hamilton turned in to his own net to make it 2-1 to the Seagulls! Despite the goal officially being ruled as an own goal, credit must go to McClousky for his determination and strength to create the chance. Despite being the dominant side, Weston had to survive a scare when Whitehawk had a goal ruled out in the 49th minute due to an offside in the build-up. Other than that, Weston dealt with everything else the away side could throw at them while still creating opportunities for themselves with Mawford narrowly heading wide from a Jordan Williams free kick. The game was often interrupted by lots of fouls in the midfield area, with one of those fouls leading to Dayle Grubb limping off in the 63rd minute with George Dowling replacing him to make his first appearance in Weston colours. 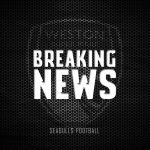 Weston kept battling though and in the 66th minute they got their just rewards, McCoulsky latched onto a fantastic through ball by Ashley Kington and kept his nerve when one on one with the goalkeeper to slot home into the bottom corner to cap off a sensational debut for him. On the 74th minute Mawford was substituted for Tom Meechan, a loanee from Newport County, who was also making his debut for Weston. Meechan nearly made an instant impact, he put the ball through the legs of a defender and sprinted into the box. The ball was eventually cleared but the creativity and electricity of the move excited the home supporters. The Seagulls held off a final wave of pressure from the opposition to ensure the final score was 3-1 to the home team. It was a fantastic opening display from the Seagulls and the 3 points were fully deserved. Weston XI: Purnell, Simpson, Pope, Fortune (C), Williams, Cane (Mullings 23), Kington, Mawford (Meechan 74), Grubb (Dowling 63), McClennan, McCoulsky. Match report written by Liam Byrne.